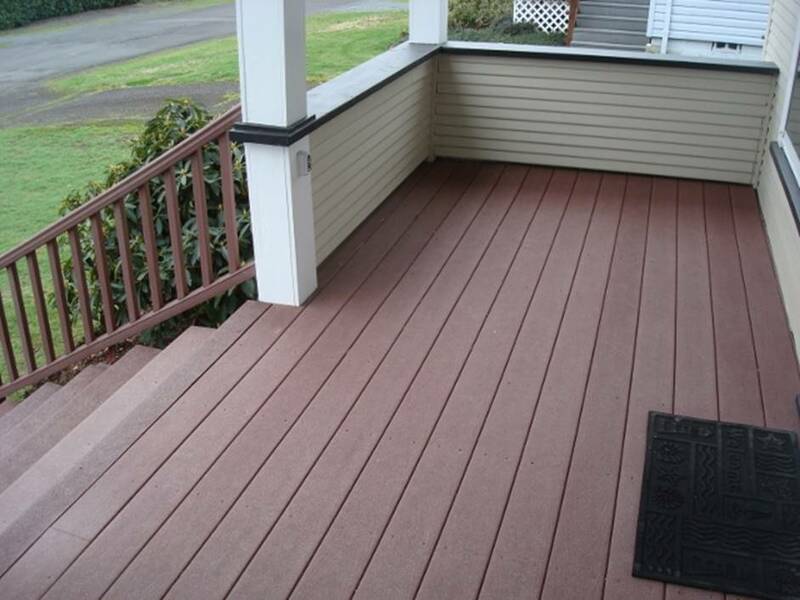 While owning a nearly one hundred year old home on the harsh Oregon coast, the time finally came to replace the rotted covered front porch deck and stairs. This was 1999 and a brand new product was just making its way into the decking and railing industry. Here’s my product review of Trex decking. With really nothing else available as a comparison, I chose to use Trex, a deck board made from recycled plastic and wood composites. In preparation for the top decking, I subsequently replaced the porch joists with 2×8 fir boards spaced 12 inches apart, even though the company recommended a 16 inch span, to minimize the flex that naturally occurred with Trex lumber. This first generation Trex, referred to as Trex Origins, measured approximately 1 inch thick, did not have side grooves for a hidden fastener system, and came with a light simulated wood grain finish on one side. I chose the reddish colored Madeira, which was a part of the Trex Accents line, in 20 foot lengths. I also purchased railings, additional 2×2 in. lengths of material to cut into balusters, and 4×4 in. end posts and post caps; all in Trex material. Although a hidden fastener system was offered, it was expensive and labor intensive, given that there were no side grooves to install the fasteners into this early product. I chose to use square slotted deck screws, specifically designed for composite decking and in the same reddish color as the decking itself. I installed the decking with the aid of a small framing square with a 1/4 in. thick edge which I slid between each deck board to create the proper spacing between them. I used white washable chalk to snap chalk lines along each joist length and used the framing square to mark exact screw drill points on each Trex board. This deck has now been installed at this coastal home for 18 years. Other than a yearly light washing with my pressure washer to remove dirt and a small accumulation of mold, the deck has kept its integrity. It has faded a bit but the grain is still intact and the railing is secure. As you read on, this has not been the case with further Trex experiences, and I attribute the overall condition of this deck to being primarily under a covered porch, subjected to only rain and limited direct sunlight. In 2006, we built a home in central Oregon, a high desert area known for cold winters with snow, occasional sub-zero temperatures and summers with intense sun and extremely dry humidity. The house included a 900 square foot elevated deck, partially covered, with southern exposure. 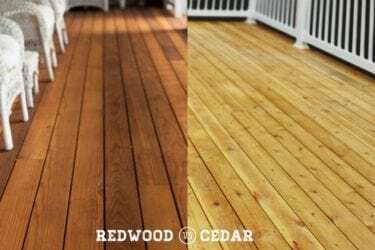 My wife and I decided to install the deck boards ourselves and after comparing various composite deck products that were now on the market, we again chose Trex, primarily because of our satisfaction with the deck installed at our coastal home. In 2006 Trex was still offering the first generation Trex Origins. Because of snow load considerations, our contractor installed the deck joists 16 inches apart using 2×10 in. fir beams. We subsequently installed the Trex deck boards in two 20×23 foot sections using a single Trex deck board at an adjacent angle to separate the two sections from each other. We chose Saddle as the color and although a more user friendly hidden fastener system was now on the market, we again decided to screw the deck down from the top. I decided to use screws again, not as a cost saving issue, but rather that I had concerns about the deck’s movement due to snow load and the substantial contraction that occurs with a composite deck subjected to extreme temperature changes, all of which I was afraid might compromise the hidden fasteners. We therefore installed the deck using the same technique mentioned earlier. This deck has now been in place for 8 years. 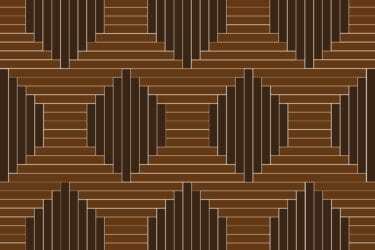 We have found that all of the decking directly exposed to the elements has lost all of its simulated grain. The color has faded, as the company stated it would, unfortunately leaving the deck with a rather plain tan unattractive finish. The areas under cover still retain the wood grain look. To the DeckMate screw company’s credit, the screws, although having now lost most of their original saddle color, still look indistinguishable from the deck itself. 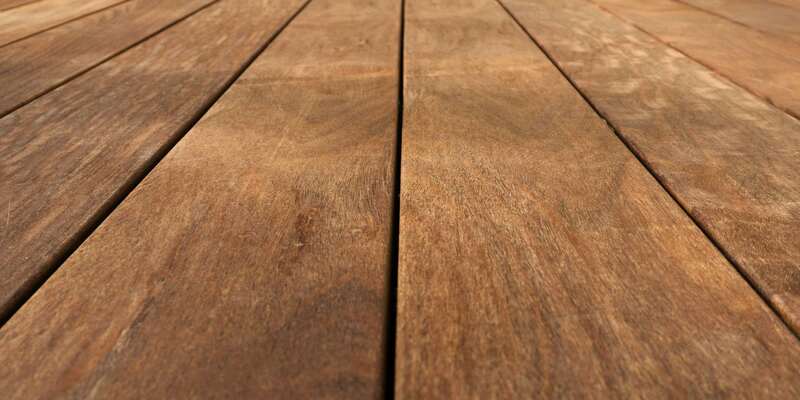 By researching Trex, I learned that the company faced two lawsuits for their first generation Trex decking, brought forth by allegations that their Nevada plant, between 2003 and 2006, manufactured a board that was subject to splitting, staining, bubbling, warping, discoloring, etc. This lawsuit has been settled, with Trex paying for partial replacement of their faulty product and no longer offering the first generation boards to consumers. We have been lucky. Our deck has not suffered any of the mentioned problems, other than several very small flecks of white plastic that has shown through in a few areas and a couple of barely noticeable bubbles that have not blistered through. We do have a friend who had a Trex deck professionally installed in a home they purchased at the same time we installed ours. Their deck almost immediately began to bubble with large chunks of the deck actually flaking off. They received rempensation from Trex and ultimately had to have the deck replaced, bearing the cost of installation themselves. Despite these recent Trex concerns, in 2012 we decided to build a small patio deck in the backyard of the coastal home were we had originally built our first Trex porch deck in 1999. Wanting to match the original porch and rear Trex entry step’s color and material, we again chose Trex in Madeira red. This is when I learned that the original Trex I had first used was no longer available. Instead, Trex was offering its second generation product, and we chose the Trex Select line. This Trex, which thankfully did match the Madeira color perfectly, now came in a slightly thinner version with side grooves for yet another improved fastener system and a much deeper simulated grain. This new composite decking claims to be more weather and stain resistant but unfortunately cannot be butted up to the original Trex because of the thickness difference. I was forced to replace some of the original steps with the new product to create the new thickness needed and I again installed this decking with top mounted screws. To date this decking is showing superior wear to the original Trex product. As a side note, in 2011 I assisted a neighbor with the installation of a TimberTech deck, also made from recycled plastic and wood composites. This decking, installed in an unprotected area and subject to the central Oregon weather extremes, is similar to the second generation Trex deck I installed on the Oregon coast. After encountering some problems with that company’s hidden fastener system, we again installed it using composite decking screws in a matching color. This deck has now survived three seasons of snow, freezing temperatures, and direct, all day summer sun. It looks exactly as it did the day it was installed with absolutely no fading or surface blemishes. I have built numerous cedar and composite decks over the last forty years. A composite deck is far superior to a cedar deck in terms of seasonal ease of maintenance. Nothing can compare with the beauty of a new cedar deck, but that beauty is fleeting, and then the work begins. The modern composite deck can remain beautiful for years with minimal upkeep; although you will always have to admit that you are standing on plastic, not real wood. A composite deck is not trouble free however. 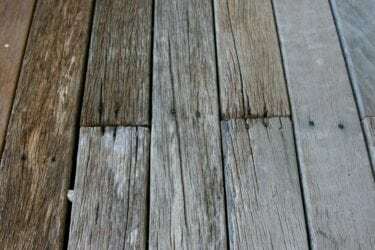 It can be stained by grease and suntan oil, just like wood, and it can be scratched by dragging deck furniture across it. Never use a colored Strait-Line chalk when marking joist lines as they can be permanent and only removed with solvents. Hidden fasteners are now a preferred installation system, but screws, and even nails, are still an option in certain situations. If screws are used, I recommend using either a professional deck screw gun or pre-drilling each hole to prevent stripping or breaking them. Would I choose Trex over another product today? Not necessarily. If I were building a deck today I would research all the available manufacturers and pick one that has positive consumer reviews and the color and finish most desired. I would only buy a solid core product that does not need a cap affixed to the end to make it look finished. Lastly, if possible, I would avoid the ribbed underside style as it will always need a butted fascia board to give the deck a finished look.